Who knew end feed monitoring could be so easy? Do you have existing busways with no end feed visibility? Would you like to ensure you are making the most of your available power but can't take the busway offline to add monitoring? 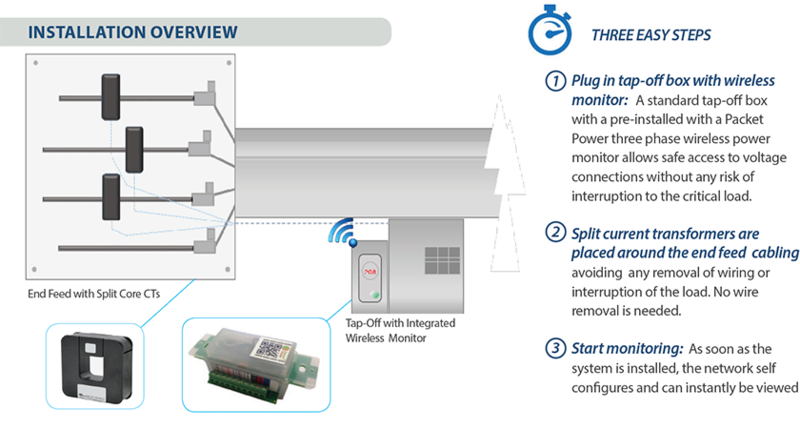 Packet Power lets you easily and safely add power monitoring to existing busway end feeds and tap-offs without interruption to critical loads. And our wireless solution installs in three easy steps.